CAMRI was founded by John Mammoliti in 1994 after 29 years in the Repographics industry. The company was established in Cambridge as the RISO specialist distributor of duplicators, printers and services across East Anglia. Such was the demand that John’s son, John R, joined the business in 1996 to provide technical and customer support. In 2000, Riso launched the first 1-pass two-colour digital duplicator, which allowed users to print a second spot colour, for much the same price as black & white. Organisations appreciated two colour printing in one operation. Three years later, Riso launched their first full-colour, high-speed, inkjet printer, the HC series. This used Cambridge based Xaar’s piezo-electric ceramic print-head technology, manufactured by Toshiba. It printed at duplicator speeds, i.e., 120 pages per minute, and brought low-cost colour printing to medium and high-volume users. In 2009, Riso launched the ComColour series, which is significantly more compact than the HC, and delivers improved print-quality. 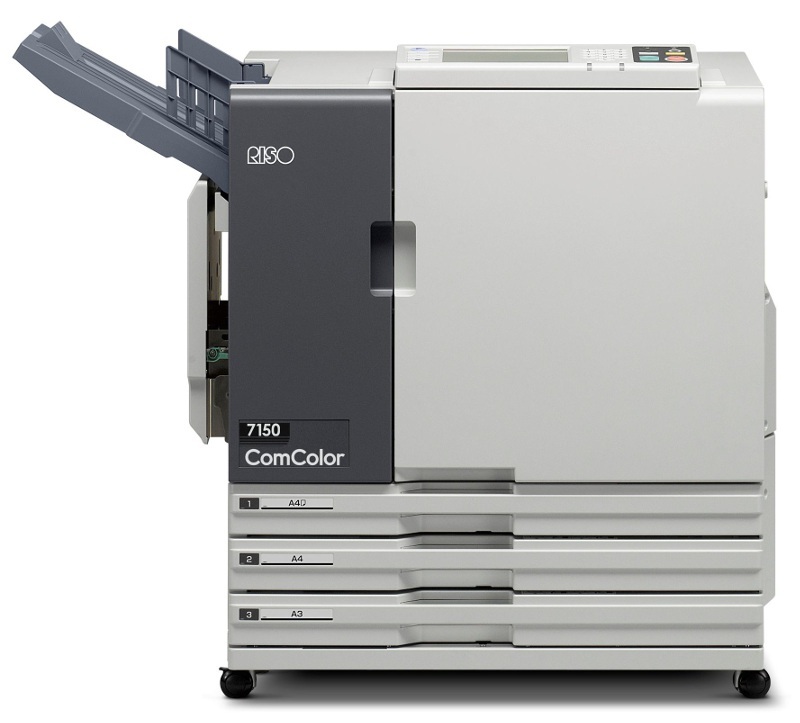 With the 2013 launch of the ComColor 9150, 7150 and 3110 series, we are finding increased demand for refurbished models. Refurbished models are lower cost, and offer similar print resolution and print speeds as newer models. However, refurbished models are noisier and consume greater power. 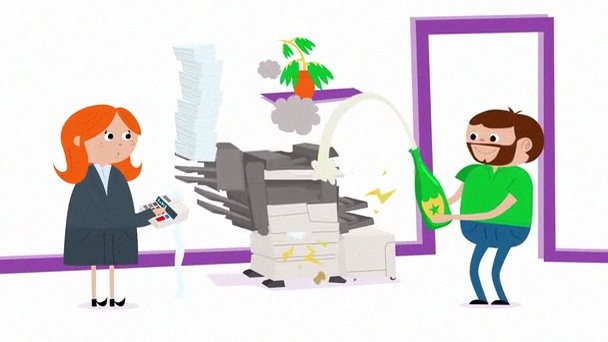 Is it cheaper to refill your old printer with champagne? Reduced power consumption compared to 7050. Route 1-off printing jobs to local B/W printer. Booklet making: A4/B5/A5, at 60 books per hour. Prints titles on the spine. Option to insert pre-printed covers. ComColor Express: header/footer & merge functions, form printing, Postscript.